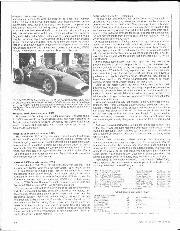 Last year there was a race for Maserati cars only, at a VSCC meeting at Silverstone, with a good turn-out of pre-war cars from Bologna and post-war cars from Modena, but unfortunately the VSCC itself and many reporters got into a terrible muddle over the 250F entries. This was not surprising as there are numerous fake 250F type Maseratis about the place and some of them are masquerading under genuine chassis numbers, while others are retaining their genuine fake identity. The VSCC accepts fake historic cars and puts them in an obscure Group or Category, with a marginal note against the entry in the programme, but it is doubtful whether many spectators really understand, or even care, as long as they see "old-type" cars racing happily. I know one enthusiastic spectator who really enjoys watching Neil Corner in his 'Lightweight" ex-works 250F and Willie Green in Anthony Bamford's "Piccolo" 250F racing wheel-to-wheel, but he goes off to the bar for a drink when Allam Cottam and Richard Bond are out there dicing in fake 250Fs, built in recent years and with no history. They do nothing for him. Much has been written about the 250F Maserati, and every time the definitive list of cars is drawn up, some small item of history turns up and throws everything into confusion again. It happened in 1984 when a very original 250F was discovered in America, having been bought from the factory in 1960, and gone to ground since 1964. The 250F Maserati was built from 1954 to 1958 and some have led a straightforward and uncomplicated life, their every move fully documented, while others have led a rough life, often starting in their early days when they were factory team cars. They may have been crashed, rebuilt. uprated, modified or amalgamated with other cars from the same series. Their histories are very complicated, but many are fully explainable. Then there are the ones built recently in England, using a few spare parts, many "pattern" parts, and much new material. These can be nothing more than fakes. 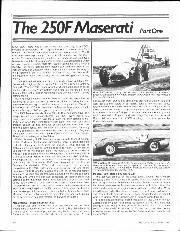 While discussing 250F Maserati histories with Richard Crump, author of Maserati books, and Chris Drake, seller of used Maseratis and other things, we kept using the phrase ". . that one has no problems, it's a genuine car with no gaps in its history . ." So, first let us deal with the "no problem" cars. 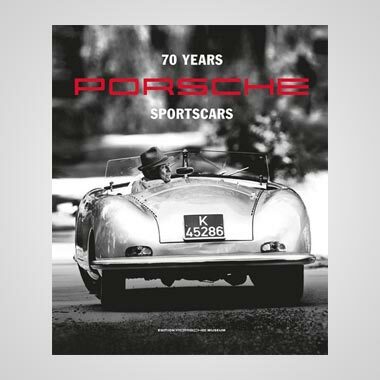 This means that we know when it was built and delivered to the first owner, where it raced throughout its years as a current Grand Prix car, which lasted until 1960, and then what happened to it until it became an historic racing car, and started a new racing life. The model 250F was designed for the 2 1/2-litre Formula that started in 1954, and versions of it were still very competitive until 1958, while some kept going until the end of the Formula in 1960. During the building of a 250F at the Maserati factory in Modena, various components were stamped with the chassis serial number, and when the car was completed an identity plate was screwed to the instrument panel. Unfortunately this small plate was easily detachable and over the years many of them have been transferred from one car to another for various dubious reasons, some legal others very illegal, so the ID plate is of little relevance. It is the number stamped into certain components that really identifies a 250F Maserati. Our "no problem" cars not only retain their original ID plates, but all the stamped numbers match it, and always have done. This car was built to the order from Sid Greene and his Gilby Engineering company in London. It was raced by Roy Salvadori in its first-line days and was a popular and regular competitor at many English circuits, notably Goodwood, Silverstone. Snetterton, Aintree and Oulton Park. During this time, it was crashed at Oulton Park and went back to the factory to be rebuilt round a new chassis frame, retaining the number 2507. 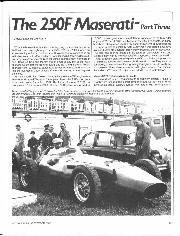 Before it was retired from racing Ivor Bueb drove it, and when it was no longer competitive it was "retired" and sold to a private collector in Portugal. It remained in his care for many years until it returned to England and was bought by the Hon. Amschel Rothschild, who ran it in VSCC meetings. It is now owned by Christopher Mann. This car was ordered by the Moss family, through the Shell-BP company office in Italy. It was for Stirling Moss to compete in Grand Prix racing, as well as British national events. 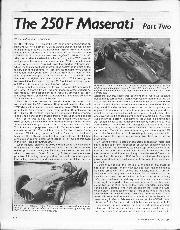 Before the end of 1954 it had been taken into the Maserati works team, with Moss still as the driver, and special works engines were used in it. In 1955. when Moss joined the Mercedes-Benz team he loaned the car to various drivers, in order that it should continue to earn its keep. Among those who raced it were Bob Gerard. Mike Hawthorn, John Fitch and Lance Macklin. In a complicated financial deal it was sold to Ross Jensen in New Zealand and on paper it changed its identity to 2513, but it did not change in fact, though it was put back to standard form. After many years in Australasia, it returned to England and then went to an American owner. It is still owned by Bob Sutherland and bears its real identity 2508. This car was built to the order of the Owen Racing Organisation, the owners of BRM. 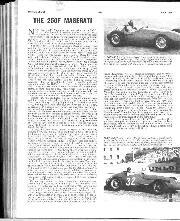 The idea was to allow the BRM team drivers and race organisation to get some practical experience in the Grand Prix races of 1954, while the new BRM was being built. 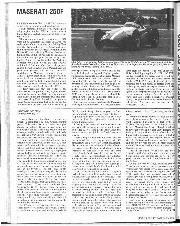 Not content with a standard 250F the BRM team first of all replaced any part that they knew had failed, or broken on other 250F cars, and also made many modifications from their own racing experience, as well as trying out mechanical things that would be appearing on the new BRM. It was acting as a sort of mobile test-bed. 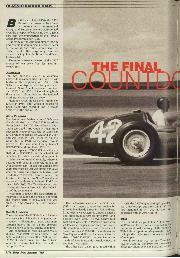 Ken Wharton, Peter Collins and Mike Hawthorn drove it. After the BRM team had finished with it it passed to Jack Brabham, and when it went out to New Zealand it was acquired by Chris Amon. It was still in its BRM-modified form, and raced until no longer competitive, when it went into retirement in a museum. It still resides in Sir Len Southwood's museum in New Zealand and is in totally unrestored and original (BRM original) condition. This car never was a real 250F. It was built by the factory for Emmanuel de Graffenned and they used his 1953 A6GCM Formula 2 cars as the basis. The 2-litre 6-cylinder engine was taken out and a new 2 1/2-litre 250F engine was installed, the car retaining its 4-speed gearbox in unit with the engine, and its rigid rear axle sprung on quarter elliptic leaf springs. It did very little racing, but was used quite a lot in Swiss national mountain hillclimbs. It has always lived in Switzerland, has never been -"modernised", and is still in Switzerland today. The number 13 is not considered unlucky in Italy, unlike England. This car was never completed by the factory, being sold to Tony Vandervell's Vanwall racing team, for experimental purposes. It was complete, with transaxle gearbox, suspension, brakes and so on, but without an engine or any bodywork. It stayed in the Vandervell factory at Park Royal and was used to investigate the "state-of-the-art" of Formula 1 while the Vanwall Special was being built. 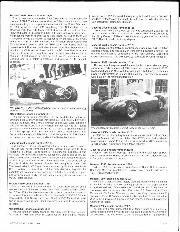 After Tony Vandervell's death, VP Products was acquired by GKN and eventually David Sankey, the son of one of the GKN directors, acquired the complete rolling-chassis and had it completed with a built-up engine and a newly made body, the car finally starting its racing career in VSCC Historic racing. This car was built in September 1954 for Luigi Musso, and in 1955 it was kept as part of the works team. Mantovani crashed it in the Valentino GP in 1955, after which it was rebuilt by the works and at the end of the season it was sold to Horace Gould He raced it in 1956 '57 '58 and then sold it to H. C. Spero. It was one of the first 250F Maseratis to take part in historic racing and raced regularly until sold to a Japanese collector. This was another factory team car for 1955. Sold to the Scuderia Guastalla in 1956 and driven by Gerino Gerini, then sold to Ottorino Volonterio in 1957. He used it infrequently but had it kept in "as new" condition by the factory. Eventually he sold it to Tom Wheatcroft for the Donington Park Racing Car Museum. This was a 1956 factory team car that was subsequently sold to Reg Hunt in Australia. 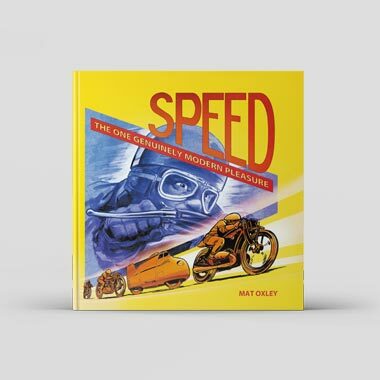 After a lot of racing "down-under" it was brought to the UK by Cameron Millar who kept it for many years as his "favourite 250F". Recently sold to Anthony Mayman. This really is a "no-problem" car because it was never built, In Italian sporting circles, and especially in card-playing gambling circles, the number seventeen is considered to be very unlucky. Modenese superstition caused 17 to be missed out of Maserati chassis numbers. This was a not-very-successful attempt at building an all-enveloping streamlined body on a normal 250F as part of the works team in 1955. It appeared again in 1956 with the works team, but during the summer it was virtually destroyed in a fire at the factory. The very bare remains were put up in the rafters and forgotten. Another 1956 factory team car, later sold to American John du Puy, living in Switzerland. Raced by Jean Lucas and Andre Testa then sold to Serge Pozzoli who still owns it. Built in 1956 for Francesco Godia-Sales of Spain, Sold to Joakim Bonnier in 1958 and later taken to USA by him and sold to Phil Cade in 1961. Still owned by Cade. The first of a pair of special factory team cars with the engine angled to the left, allowing a lower seating position as the propshaft ran alongside the driver. New-style bodywork and fuel tank. It only raced in one event with the factory, the 1956 Italian GP Then sold to Tony Paravano in California. After many years of inactivity it came to the UK and pined the JCB-Anthony Bamford collection, then it returned to the USA to on a private collection, and has recently been sold to another American collector. The first of the most successful 1957 factory team cars, built on a tubular chassis frame similar to previous cars, but using much smaller gauge tubing. This was known as the T2 chassis frame. The bodywork — and shapely tail-tank followed the lines of the "offset" car, number 2525. This car, and its two team-mates, soon became known as the "Lightweight" cars, though it was only a relative term, compared to a new era of racing car that was growing. In 1958 it was sold to Ken Kavanagh, the Australian Moto-Guzzi works rider, who was living in Italy. He had a few races with it, and it then lay fallow until it came to England to take part in VSCC historic racing. During this time it had a very bad accident which necessitated the building of a new chassis frame. Nothing was available from the factory any more, so Arthur Archer, of Dunmow in Essex, made a complete jig on which to build a new chassis frame for 2527. It has been passed around among VSCC "racers" and collectors, and is now in an American collection. The second of the factory team cars for 1957, with T2 chassis frame. In 1958 it was sold to Francesco Godia-Sales, and when it qualified for historic racing it came to England. Owned by Neil Corner It has been raced regularly and successfully in historic racing and is one of Corner's favourite cars. The third of the 1957 factory team cars. This is the one that Fangio drove in the French GP at Rouen-les-Essarts, and the German GP at the Nurburgring, to establish himself as the ultimate master of the 250F Maserati, and to establish in some eyes the ultimate 250F. In 1958 it was bought from the factory by Giorgio Scarlatti who raced it a few times, and then sold it to Joachim Bonnier. He took it to the USA in 1959 and sold it to an American collector. Today it is on display in the Cunningham Museum in California. This was the last 250F Maserati built by the factory in Modena. It had a shorter and lighter frame than the "Lightweight" cars, known as the T3. It was completed in September 1958 for the Temple Buell team and became known as the "Piccolo" model. After residing in an Italian collection for many years it came to England in 1972 and pined the Bamford Collection, and has enlivened VSCC and Historic racing driven by Willie Green. Some of the duels between Green in 2534 and Corner in 2528 has shown 250F racing history at its best. 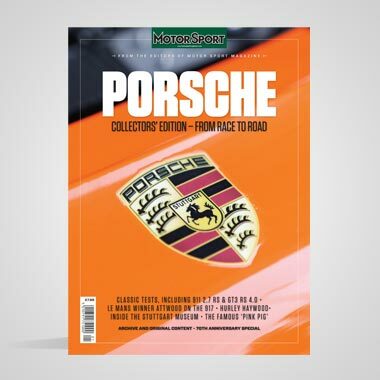 Those cars not dealt with in this story are ones that have had varied and often chequered careers, some perpetrated by the factory, and documented, others being bound up in complicated "deals" and the occasional suspect movement when changing ownership. All are fundamentally straightforward 250F models, or factory derivatives, but their stories are far from straightforward. We shall endeavour to sort these out in the next instalment and at the same time deal with the eight new cars that have been built in England, using up spare parts where available and the manufacture of new components. "Made in England" and not "Made in Modena". — D.S.J.